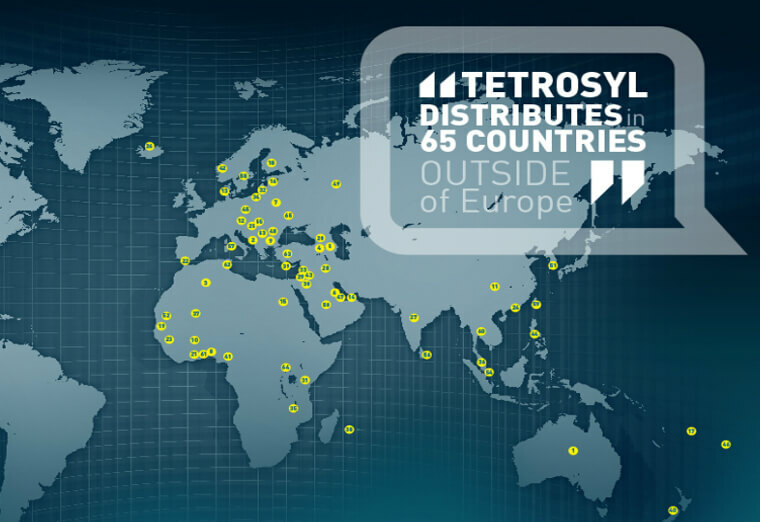 Tetrosyl International was established in 1975 and has grown consistently over the years now forming a significant part of the Group’s business. Already trading in over 100 countries worldwide, there will be continued strategic emphasis on developing the international side of the business to drive growth in these markets. Tetrosyl International’s approach to brand management ensures that new ranges are customised to suit local market conditions and legal requirements. Significant development in global trading policies has enabled the division not only to consolidate its leading position but also to benefit from valuable market penetration in several leading companies. Other countries that Tetrosyl International have developed business relationships include Russia, China, Italy, Australia, United States & Canada who all offer significant potential for expansion for our British made products. This key strategy means Tetrosyl products are available to consumers in many of the largest retailers in the world. Tetrosyl International have products which are unique to the international sector and can be customised to suit the consumer market and requirements whether it may be the languages that are used, the style of the labels, bottles or product.